What is it: The holidays are the perfect time for a rich, bold lip. Hand-selected by Bobbi, these four lip colors will complement a range of holiday styles and looks. 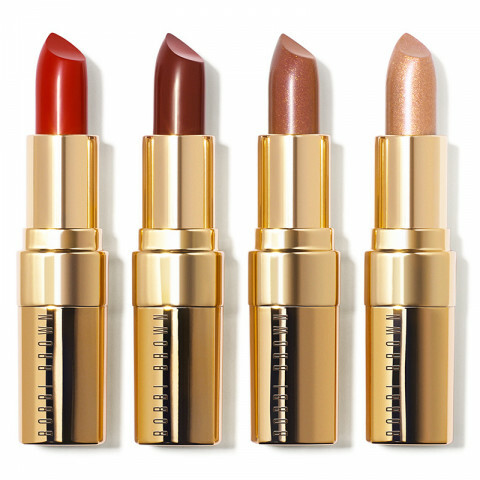 All four shades come in a perfect-for-the-holidays gold tube. Who is it for: Rich, soft-matte lip color that's perfect for anyone who wants to complete a classic or fun holiday look. Why is it different: Infused with Vitamins E and C as well as Beeswax, Bobbi's original formula also moisturizes and comforts lips. How do I use it: Simply swipe on and go.